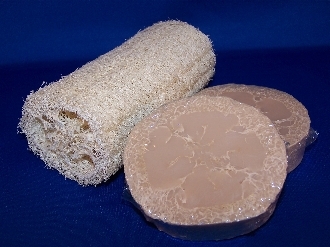 Our loofah foot scrub is 3/4 inch thick and full of soap! It works great to really scrub those feet to get them summer ready in no time! Have a dirty husband? They work great for paint and oil spots too! Try one out today, you will LOVE the results!